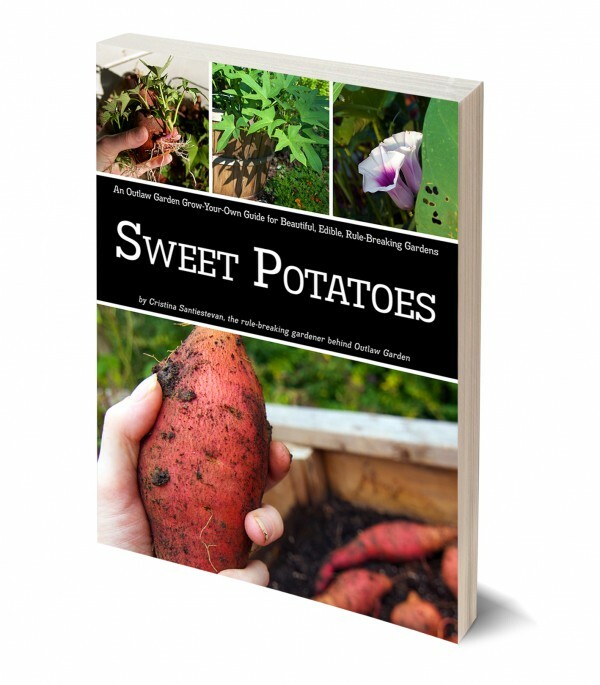 The first year I grew sweet potatoes, I harvested a dozen pounds of sweets. Maybe a little more. The second year, when I knew what I was doing, I harvested 67.8 pounds of sweets. That’s a pretty steep learning curve! If you want to try your hand at growing your own sweets, now’s the time to get started. Luckily, sweets are easy to grow (especially for those of us in hot-summer climates). 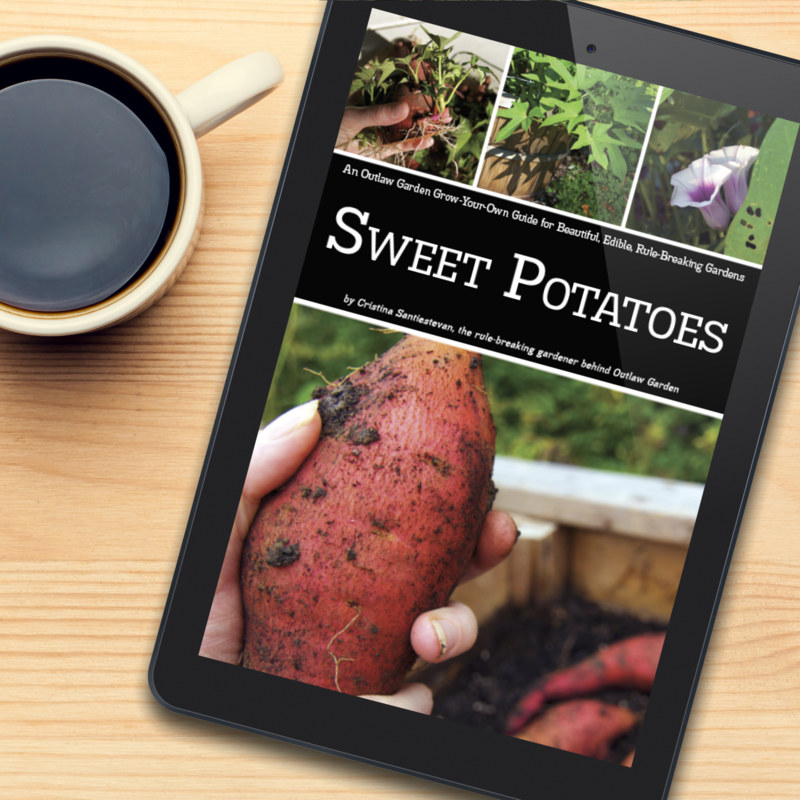 You can order slips (baby sweet potato plants) from many garden catalogs. Or, with a bit of planning, you can grow your own from grocery-store bought or home-grown-and-saved sweets. I personally like to do both, because it’s fun to grow my own but it’s also fun to try new varieties only available through catalogs. That’s it. Oh, get more if you want. But one is all you need. Sweet potatoes are among my very favorite things to grow in my front yard vegetable garden. They’re easy and productive, delicious, and super attractive! What’s not to like? I already have five started, and plans for many more! What about you? Have you started your sweets yet this year?